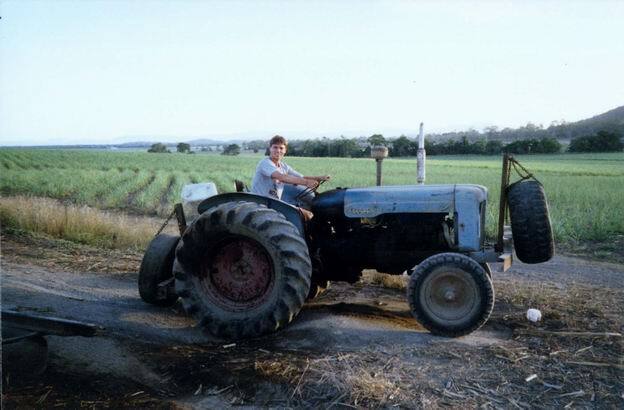 "Australian farmer in an action... Queensland (QLD) is the most prosperous Australian state. Its incomes comes mainly from agricultural production as well as in NSW it would be operating farms & trade. QLD is full of farms of a different kinds - through mango, banana, water melon farms, to capsicum, tomatoes & sugar cane farmhouses. Farmer society is quite reach with strong lobby background. Thought, it is a reward for whole-life effort to keep farm-system running effectively. No farmer would deserve that silly talks of Everywherebeingandnothinghaving guys like "...yeah, man, easy stuff for him, when he stole it from the others...". Farming is a hard job, I saw it."